Help sheets in hard copies - soft copies available on this website. The Darwin Library is open from 8:30am to 4:30pm Monday – Thursday and 8:30am to 4:00pm Fridays. The Hazel Hawke Library, with its emphasis on practical hands-on information contains books, videos, CD’s, DVD’s, audiotapes and other activity materials. 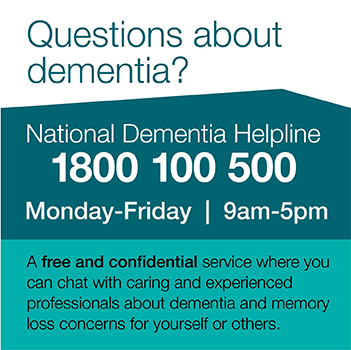 The Hazel Hawke Library is located in the Dementia Australia, Alice Springs office. The library is open from 9am to 4pm Monday to Friday.